i’ve been obsessed with lilac shades for a while, so when i saw the name of the first shade i had to order it! 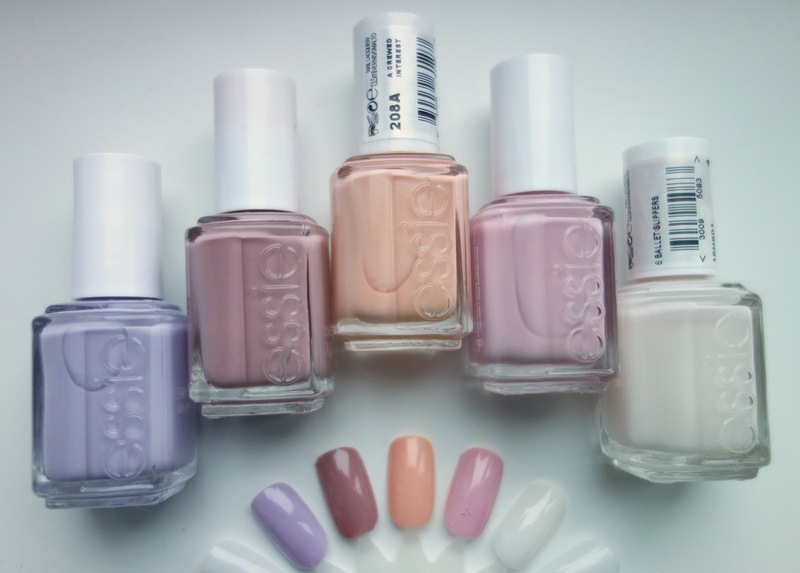 i haven’t tried neo whimsical yet but i might do my nail that colour next. i put a picture up of my nails in turquoise and caicos on instagram, but it didn’t appear as bright as it is in real life. 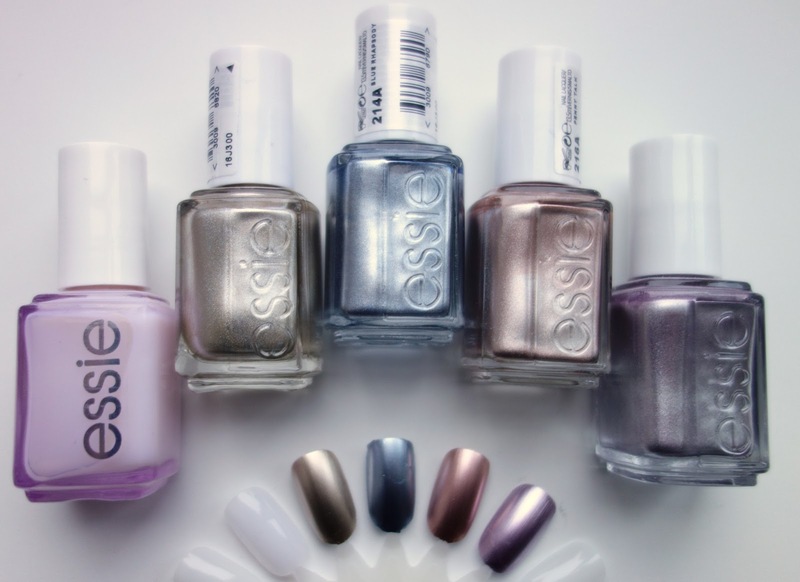 i adore all of the above shades as i’m all above the pale purples, blues and greens at the moment. i’ve been looking for a strong blue shade for a while, so the one above was a pretty sure choice (even though i really wanted butler please, but i’m totally fine to compromise). i can’t wait to use watermelon as i’ve been in love with it since i saw kate from ghostparties wearing it forever ago. 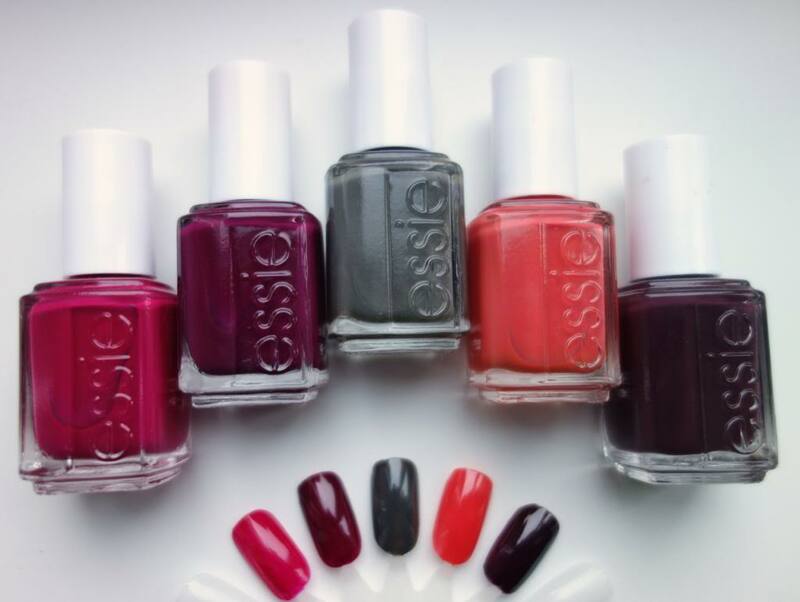 some of these were my most loved autumn shades, but i will definitely be carrying them on into spring as i don’t really limit nail colours to a season! i think raspberry is my favourite out of the bunch, it’s the most perfect shade. 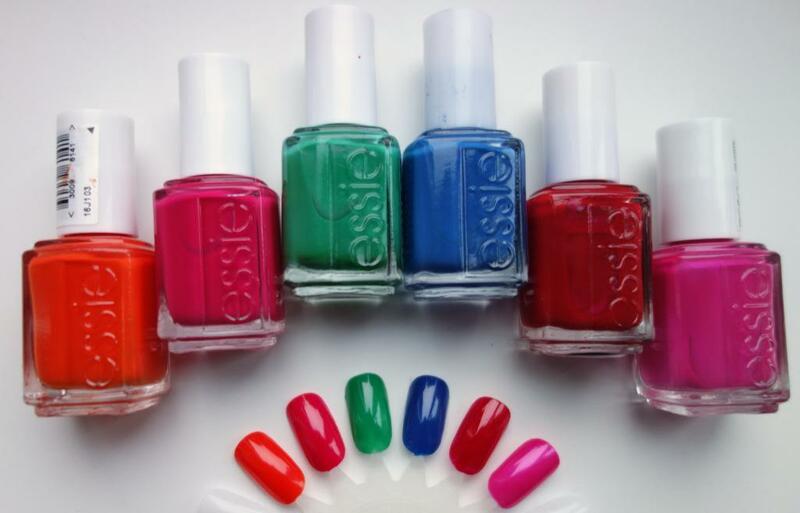 so, that’s my essie polishes! 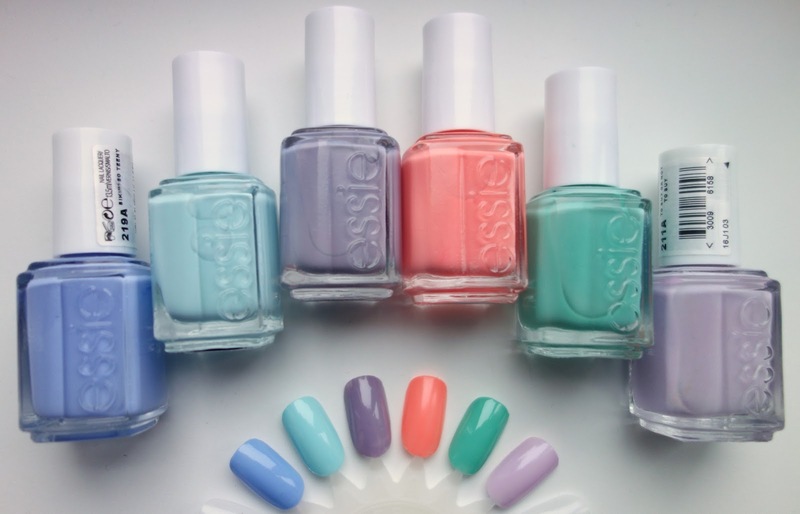 they’re possibly my favourite nail brand next to models own, rimmel and barry m (which you can’t go wrong with for the price). 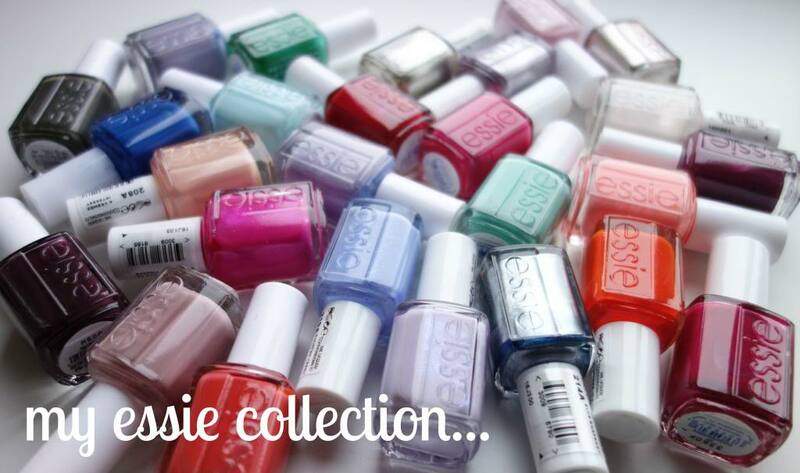 what’s your favourite essie shade? or do you have one you’d recommend? ps. jess from velvet daisy has some amaaazing outfits, go check them out!